These are some that I like. I found them on the Payless website. Satin Peep Toe. 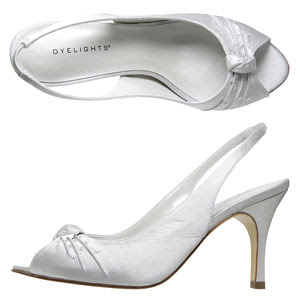 However, the heel is rather high for walking around all day at 3.5 inches. Black Slide. I like these even though they are black. I don't think they come in silver. They would probably be comfortable with a 2 inch heel.